Cork floor tiles are known for their elegant appearance and they make your interiors look flawless. The warmth and beauty of cork floor tiles is undisputed. With their wide range of colors and textures, you find that cork-flooring tiles can add great beauty and style to your home. An important step that most people do not know about or consider is the application of sealant. This sealant helps to keep them in great shape and stand up to normal wear and tear without damage. Generally the name of cork floor tiles makes us think that they are soft and would retain moisture. Cork is soft and retains moisture; in order to solve these sealants were introduced. Sealants help in hardening and adding perfect shape to cork floor tiles. Installing Sealant for cork floor tiles helps to keep away moisture and hardens it. Many times this sealant is already applied to the tiles when you purchase them, but if you are using the cork tiles in a room that sees a lot of traffic and moisture, like the kitchen, entry or bathroom, it may be a good idea to apply additional sealant for maximum durability. While most cork tiles have several layers of a UV cured acrylic finish, rooms like the bathroom or kitchen are very hard on any type of flooring, so you want to be sure that you do everything possible to keep them looking great for a long time. Sealant helps in keeping the cork floor leak proof and free from moisture. These cork tile sealants make sure that cork tiles can be used even in areas were more moisture is involved such as Kitchen and Washrooms. 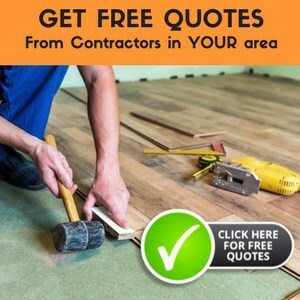 By reading the instructions that come with your choice of cork flooring tiles, you will see exactly which cork tile sealants that they recommend for your tiles. The sealant will be applied easily with a foam roller and will be applied thickly without going over the area again. It is necessary to allow the sealant for cork floor tiles to sit for 24 hours before walking on it with soft-soled shoes and up to eight days to set the sealant completely. By applying the sealant exactly as directed, it will make your cork floor tiles more durable for everyday wear and it will make it easier to maintain. The sealants also make sure that the tiles remain bound together in a strong manner that the longevity of these tiles is extended. The great benefit to cork tile sealant is that it seals all of the joints where the tiles come together. This helps to keep moisture and dirt from getting into the tiles and under the tiles to keep them as safe as possible from moisture and normal wear and tear. Even if the cork floor tiles come sealed, an additional layer of sealant as directed by the manufacturer can help to make them even more impervious to dirt, debris, and moisture. The Sealant needs to be reapplied once a year or so (depending on the traffic it sees) to keep the cork looking as beautiful for as long as possible. The ease of application will make it something that even the most novice of do-it-yourselfers can do. This simple maintenance step, along with regular sweeping and damp mopping, will help your cork flooring to last for a very long time. Though removing the sealant for cork tiles is not essential, it is very important to do reapplication once in a year. My favorite products to consider for sealing natural flooring, like cork tiles, are Varathane’s Diamond Coat Polyurethane and Bio Shield’s canauba wax. They are low VOC, durable, and require less ongoing maintenance than other sealants. These sealants add durability to the cork tiles. They strengthen the surface and helps in keeping away moisture. Selecting the sealant for cork floor tiles is very essential for achieving better results. Cork floor tiles are a great choice to help add warmth and style to a home. By taking proper care of it by keeping it clean and applying the recommended cork tile sealant, you will be able to get the most from your investment and have a floor that will stand the test of time.